"How little you know of your own father. He took something I cherished long ago and hid it away. You will help me find it"
The legendary Luck Uglies are the most deadly, dangerous band of men Riley O'Chanter has ever met - and her father, Harmless, is their high chief. 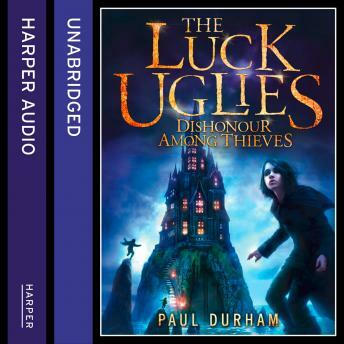 Having been in exile for ten years the Luck Uglies are back in Village Drowning, but bringing them out of the shadows and back together was never going to be without its perils. There is bad blood between Rye's father, and a sinister masked man named Slinister Varlet. As Harmless and Slinister vie for control of their men, Rye finds herself caught up in their dangerous game. Throw in a vengeful son, a dark curse, and a collection of thieves and smugglers and the stage is set for another page-turning adventure.